It’s time once again for the weekly roundup of my favorite pop culture atrocities, misfires and entertaining trainwrecks. 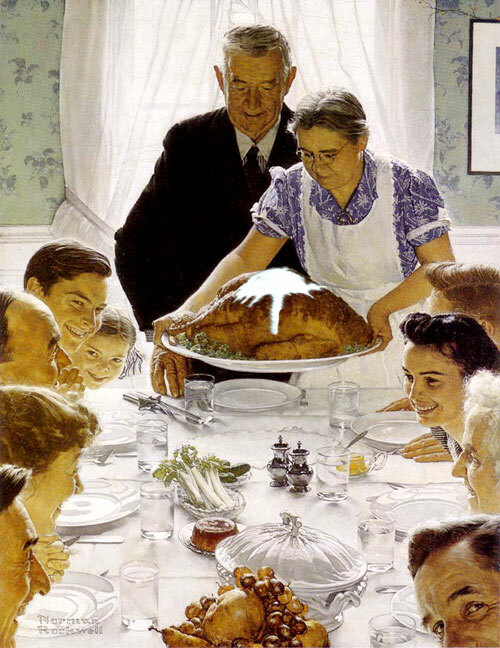 This week’s theme: Thanksgiving. 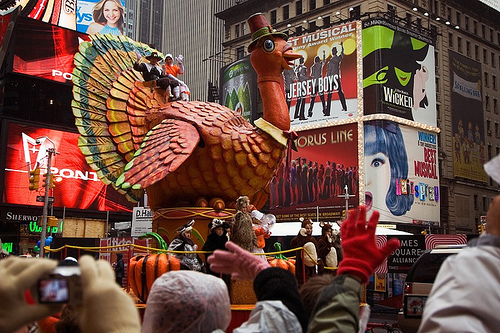 Like Halloween, Thanksgiving is a purely American holiday. It’s an excuse for families to gorge themselves on turkey, get plastered and then blame each other for all of life’s problems…or give thanks, I mean. It’s also a subject that Hollywood loves to tackle. What TV show hasn’t had a Thanksgiving episode? What year goes by without some lame primetime special? It’s a nice little holiday and all, but when it comes to the projects it inspires, the good ones (A Charlie Brown Thanksgiving, Planes, Trains and Automobiles) are few and far between. Yeah, a thrill for her, but for the audience it was a signal to change the channel. The Macy’s Thanksgiving Day Parade first started in 1924 as a celebration of culture, diversity, art and, oh yeah, promotion. The annual spectacle features songs, dances and gigantic floats of popular cartoon characters (e.g. Snoopy) and brands (e.g. Ronald McDonald). NBC has broadcast the event every year since 1955. That means that the network has also shamelessly plugged its own programming in the parade since 1955. This year, fans of the popular comedy, Glee, were outraged when the show’s cast was banned from making an appearance for fears that it would be free promotion for the Fox network. The best films that use Thanksgiving as backdrop are good because they don’t focus on just one literal aspect of the holiday, but, instead, explore the larger themes of the human condition. Okay, so that sounded pretty indulgent. What I mean is – take Jodie Foster‘s Home for the Holidays for example. Holly Hunter‘s character decides to go home and visit her folks for Thanksgiving after losing her job. The film is about relationships and moving on. It feels authentic. Same with John Hughes‘ Plains, Trains and Automobiles. You’re never bored because the characters are so true and he also captures the mania of traveling during the holidays. Peter Hedges did not take notes on those films when he wrote and directed Pieces of April. The plot is as follows: April Burns (Katie Holmes, in an overrated performance) throws together what she hopes is the perfect Thanksgiving dinner for her estranged family (which includes Patricia Clarkson as the dying-of-cancer mother and Oliver Platt as her bumbling father). And that’s all there is to it. Pieces of April is one note…and it isn’t a pleasant note. It’s also completely and utterly unbelievable. Not to mention cliched and uninspired (I may sound redundant, but I can’t emphasize these points enough). April is the kind of movie character who has the brain of a marmaduke and the charisma of a dime store manequin. Watching her screw up the simplest tasks such as preparing the turkey for dinner is excruciating. It seems as if Hedges made April’s appearance as wacky as it can be (red hair streaks, multiple piercings, etc.) to overcompensate for her dull presence. You basically spend the entire movie watching her set the table and the payoff at the end is not worth the wait. When promoting it on The Late Show with David Letterman, Holmes called it “a happy, soothing ending.” By that, she means predictable and unsatisfying. I, for one, felt cheated. I’d like to say that Hedges improved with his next directorial effort, but, well, Dan in Real Life proved to be even stupider and had even less of a plot. Maybe next time.